The 1st Annual Pride and Polish Truck Show was Saturday, July 27 at the Clermont County Fair. 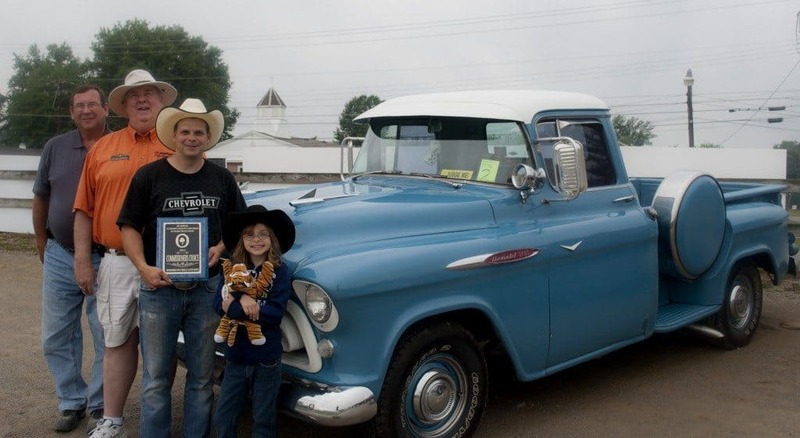 Nathan Houchins won the Commissioner’s Choice Award for his 1957 Chevy truck. His daughter, Kayln, named the truck Bella and she was there to proudly help dad accept the award. Pictured from left to right: Wendell Wehrum, Commissioner Humphrey, Nathan Houchins and Kaylen Houchins.